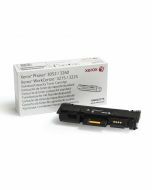 This genuine Xerox drum cartridge is designed specifically for your Phaser 3260, WorkCentre 3215/3225 to keep it operating efficiently and delivering high quality results. Xerox drum units are long-lasting and easy to replace. Don't settle for cheap imitations. The 101R00474 drum cartridge yields up to 10,000 pages. 13.5" x 3.7" x 10.5"